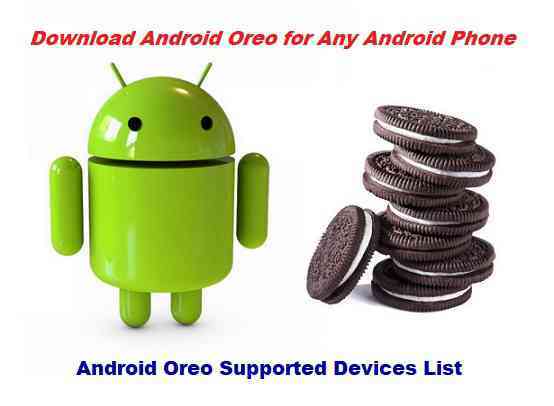 If you are looking for Android Oreo Download options for your Android phone then you are at the right place. Android Oreo Developer Preview was there for Google Nexus and Pixel devices since the Google I/O 2017 event. While the USA witnessed the Total Solar Eclipse on 22nd August 2017, Google has unveiled the Android Oreo public release. The Android Oreo Download for Nexus/Pixel devices are already available. But how will you get Android Oreo download update for your Android device?? Well, his post brings you various Options of Android Oreo Download for your Android device. Android Oreo is the latest Android update from Google. Android being an Open Source Project, is one of the popular OS among developers. Because of the Open Source nature, many developers have already developed their custom version of Android OS such as: CyanogenMod, LineageOS, Resurrection Remix, OmniROM, etc., which are called as custom ROMs. It is this Custom Android ROMs, that made possible for retired Android devices to be still updated to latest possible Android version even after years. 1 What Android Oreo Download options are available?? What Android Oreo Download options are available?? Well, not every Android phone on the earth gets an update to the latest Android version released every year. But thanks to the Custom ROMs like: LineageOS, (and of course a huge Thanks to the developers porting this to various devices) because of which many old age Android phones are getting updated to the latest Android versions, which is simply awesome and unbelievable. OFFICIAL OEM Updates: If your phone is new, then it is likely to get the official update from your OEM in another one year or soon. Yes, you read it right. It may take as long as a year or more. No update at all: If your phone is much older to even recognize, then most likely no developer will be working on it and for you the latest Android will be something else than the Android Oreo. Yes, that’s your phone’s fate, not yours :). It says that it’s time to buy a new one ;). Many Android device have still not got the Android Oreo update because: either the device is too old to support the Android Oreo or there is hardly any developer working on that device to bring latest Android Oreo. If you don’t have an Android Oreo ROM available for your device, then you can always search for an Android Nougat based custom ROM update. As always any of the Android Oreo ROM does not come with pre-installed GApps (Google Applications) because of Copyright issues. So, you need an extra Oreo 8.1 GApps to be installed via a custom recovery like TWRP recovery. Also, mostly none of the Android Oreo ROM does not come with built-in ROOT binary, hence you need to install the supersu ROOT binary after installing the Android Oreo 8.1 ROM. SAMSUNG C7 PRO (C701F) dual sim..? but I’m stuck on Android 5.1.